Design Persuasion’s publication layouts and designs both capture the interest of readers and make your written content shine. We provide refreshing publication designs that make readers actually want to read your content. Let’s face it—people are less interested in reading now more than ever. These short attentions spans make effective design a must-have for publications. With this in mind, we always create our publications with the intention of captivating readers. Not everyone can effectively design a publication. It takes a special eye for detail and knowledge of what makes your words stand out. 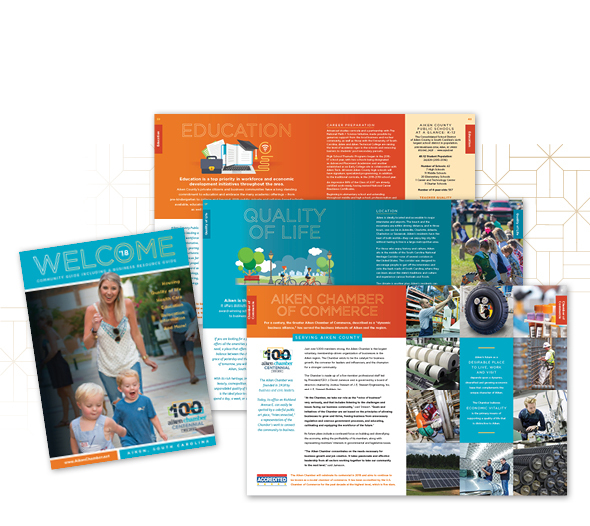 Our publication creations enhance what’s being communicated with eye-catching designs and professionally placed graphics. Do you want your publication design to stand out? Contact Design Persuasion, a graphic design studio in Aiken, South Carolina, at 803-393-1368 or email hello@bepersuaded.com.